For our purposes, we are going to avoid any hot peppers for baby. While certain people love spicy food, you can be sure that if it hurts, baby will hate it. Fortunately, peppers come in lots of different flavors. Bell peppers, also known as sweet peppers, are the best ones for baby. 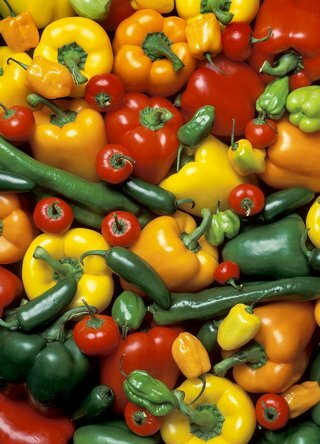 The peppers that are the red, orange or yellow in color are the sweetest and probably the most attractive to baby. Green peppers are less sweet and slightly more bitter than their colorful relatives because they are unripe. Choose peppers that have deep vivid colors of yellow, red or orange, taut skin, and that are free of soft spots, blemishes and darkened areas. 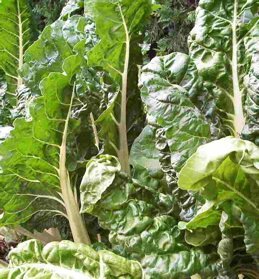 Avoid ones that feel very full if you are buying by weight because there is no need to pay for seeds that you cannot use. First, you will have to clean the pepper of its seeds. Cut it in half and remove the white pith and the seeds, then slice thinly. Steaming or microwaving thinly sliced peppers are the easiest ways to prepare it for baby. Simmering - put it in a saucepan cover with water, and cook on high until softened. Microwaving - put sliced peppers in a shallow bowl with 2 tablespoons water. Cover with a lid or plastic wrap. Microwave on high for 2 minutes to check how soft the peppers are - then microwave at one minute intervals until finished. 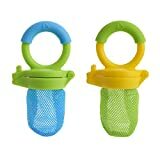 You may have to puree peppers or chop into very small pieces for baby because of its tough skin. Your baby needs some really good teeth to break through it. Store in bottom of refrigerator for about a week. Yes. 68% of all bell peppers sampled by the USDA contain pesticides. Fresh peppers can just be chopped up and added to salad. The easiest way to prepare peppers for a delicious and quick side dish is to stir-fry them. Preheat skillet for 3 or 4 minutes over high heat. Add the oil and add the peppers. Stir with heat on high for 2 or 3 minutes. Sprinkle with salt and serve. Your active baby is probably getting bored with sitting in his highchair. Make eating time as fun as possible with his favorite music and his favorite person playing airplane with his food.